Sleek style that is ideal for both daily use or entertaining, this five-piece counter table set includes a square counter height table with marble-look top. 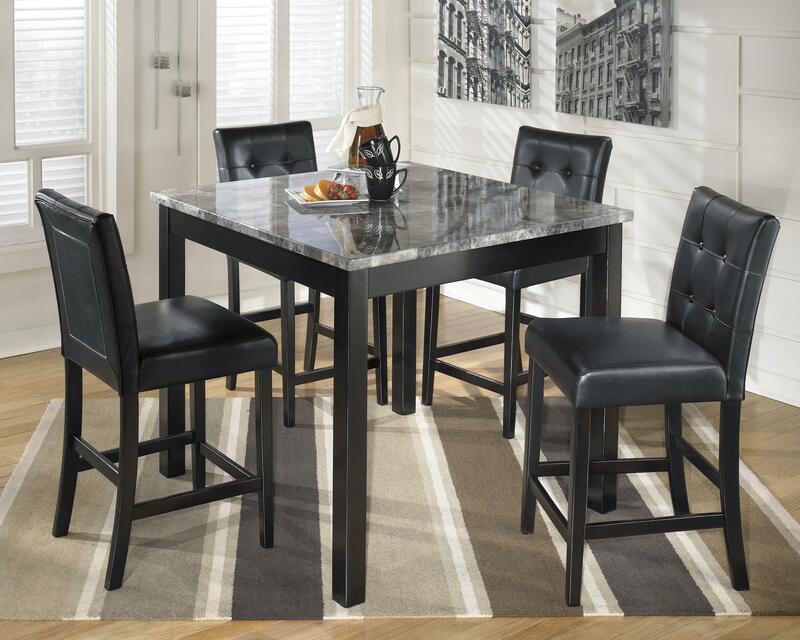 Its square legs made with select hardwoods and solids in a black finish complement the look of the four counter height bar stools. The monochrome design of the counter stools feature black vinyl with tufted backs plus black finish bar stool legs with a stretcher. The Maysville 5-Piece Square Counter Table Set with Faux Marble Top by Signature Design by Ashley at Michael's Furniture Warehouse in the San Fernando & Los Angeles area. Product availability may vary. Contact us for the most current availability on this product. Table Info 42” W x 42” D x 36.13” H FLOOR TO APRON: 31 3/4"
Side Chair Info CHAIR(4) 18 3/8"W x 21 3/8"D x 40 1/8"H. FLOOR TO TOP OF FOOT REST 7 1/4". FLOOR TO TOP OF SEAT 25 1/2"
Case Detail Block Table Legs. 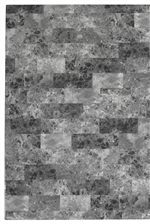 Description: Top Table tops made with polyurethane coated print marble in a gray color. Case Construction Made with select veneers and hardwood solids in a black finish. 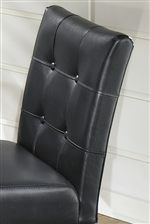 Chair made with hardwood frames and are upholstered in a black faux leather. Casual contemporary dining with the Maysville collection allows you to create a welcoming setting for daily meals at home or creating a place to gather with guests. Black finish tables with faux marble tops complement the look of faux black leather tufted chair backs. The Maysville collection is a great option if you are looking for Contemporary furniture in the San Fernando & Los Angeles area.